A multi-platinum, award-winning DJ/producer, he apparently plays hundreds of club and festival shows around the world and who to date has released four studio albums, his most recent album ‘Moments’ (Warner Music) landing back in 2015. In a career that has seen him win awards that include three Finnish Grammy Awards to having one of the world's biggest selling 12” singles in 2000, Darude has continually flown the ‘Siniristilippu’ (‘Blue Cross Flag’) of Finland wherever he has travelled. An act that his home country has always respected him for and is in part the reason behind why he was invited to usher in the 2016 New Year Eve celebrations by DJing at a large scale public event in the country’s capital of Helsinki in front more than 100,000 people as part of the celebrations of 100 years of Finnish independence. Promising to create the atmosphere and visuality of his DJ gigs on the Eurovision stage, Darude will perform his tracks with featured vocalist Sebastian Rejman, from the band The Giant Leap. Since his arrival on the world stage back in 1999, his musical workings having been utilised by events including Euro 2000, Wimbledon, The Olympics, NFL, NBA and the UFC, on top of making appearances everywhere from Hollywood movies to advertising videos for Nike and PlayStation, as well as video games such as DJ Hero and more recently Angry Birds. Now his music’s reach is extending to new ground with his invitation to represent his country in the 2019 edition of the Eurovision Song Contest and is expected to be one of the stand-out musical moments of the year. 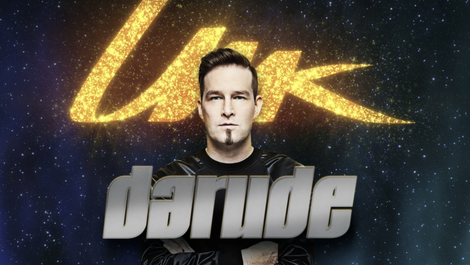 “We are really excited that Darude is representing Finland in the Eurovision Song Contest. This is probably the first time that a DJ is taking over the Eurovision stage,” the producer of Yle’s Uuden Musiikin Kilpailu (UMK), Anssi Autio, also said. Darude will release three songs that will compete in the national selection of the UMK, to be released worldwide across the 8th, 15th and 22nd February. The winning Darude track that finally represents Finland in the ESC 2019 will be decided by a combination of public vote and an international jury’s points via live TV broadcast on 2nd March.